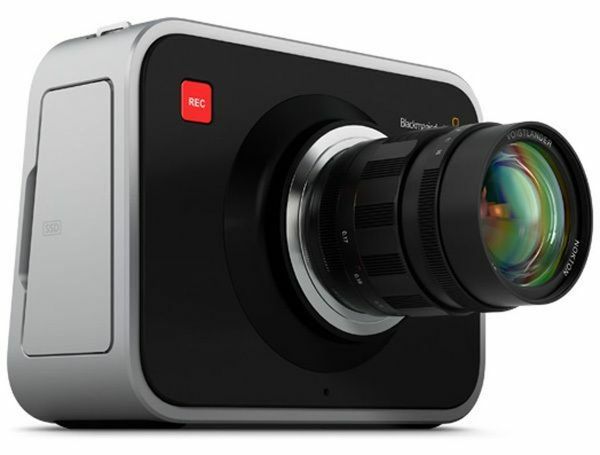 Thursday October 16th – Jim Gwilliam will present a talk on Micro Four Third Lenses (or MFT or M43) that are used on some video and stills cameras (including the Blackmagic pocket cinema camera). The MFT system design specification does not provide space for a mirror box and a pentaprism, allowing smaller bodies to be designed, and a shorter flange focal distance and hence smaller lenses to be designed. Virtually any lens can be used on MFT camera bodies, as long as an adapter exists. The aim of MFT is to get DSLR like images without the bulky size of DSLR cameras. Smaller and lighter cameras and camcorders can mean more creative freedom for camera operators and cinematographers. He will be bringing along a variety of lenses and adapters and explain how they are used and how they can be employed in video work to get the best results. 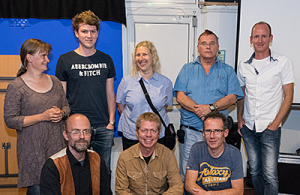 Last night’s “Portfolio Show-off Night” was an excellent event with 8 creatives showing portfolios across the whole spectrum, from film and video making to book design, a free video HD film stock service, photography, environmental journalism, visual effects and animation. Sharon Woodward, Filmmaker, documentary ‘Symarip’. sharon@woodwardmedia.org, www.woodwardmedia.org. Harry Pill, Multimedia producer, showreel and introduction to free video stock footage library. harry.pill@videvo.net, www.videvo.net. David Fisher, Photographer, portfolio website. david@fisherstudios.co.uk, www.fisherstudios.co.uk. David Murray, Photographic essay inspired by the Situationists. davidmurray1917@yahoo.com, thedadameinhofcolumn.wordpress.com. Toby Matthews, Book designs for print and mobile apps. toby@tobymatthews.co.uk, www.tobymatthews.co.uk. Zoe Broughton, Campaigner and protest filmmaker. Documentary ‘Wool against weapons’ and short video of Didcot Power Station cooling towers demolition. zoe@urchin.info. Rod Harbinson, Environmental journalist. Short videos of street protests against Thai military coup. rod.harbinson@yahoo.com, www.youtube.com, www.spiritforest.org. Ken Turner, Visual effects and animation supervisor. Showreel of visual effects and animations. ken@designimage.co.uk, www.designimage.co.uk. Thank you to everyone who took part in this Portfolio Show-off Night. A very special thanks to Richard, Roger and Dariusz who managed the technology fantastically for presenters, thank you guys!